Naveed Saeed, SEVP Commercial, Pakistan Telecommunications (PTCL) talks to Marylou Andrew of Aurora Magazine about how PTCL is transforming itself to keep pace with the changing telecommunications environment. Question: PTCL has launched many new services in the last two years. What is the core strength of your business? 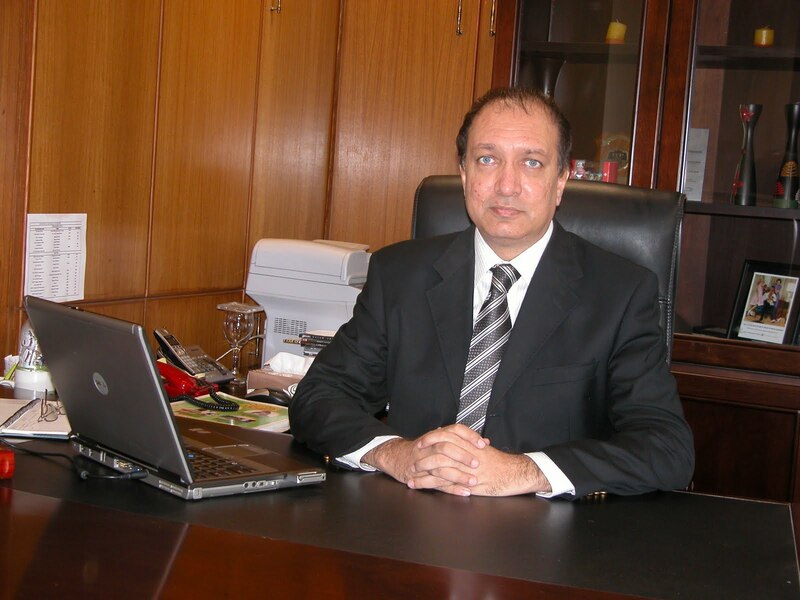 Naveed Saeed: PTCL is the largest telephone company in the country. When we say largest, we mean that it has the core infrastructure to be the backhaul operator for all the other telecoms carrying traffic from Pakistan to the world. PTCL is also a commercial organization so we are running wire line products, wireless products, prepaid, post paid, data, voice, entertainment and media products. Question: Has PTCL changed as an organization? Naveed Saeed: There has been tremendous change compared to the way this organization used to work. We have re-designated people; for example the lineman is now called the customer service representative (CSR). We used to be an implementation company only, whereby when someone needed a connection, we would install it. Today the CSR is knocking on doors and asking people if they want another connection or a broadband solution and offering them alternatives. This is a total change from a couple of years ago when consumers were knocking on PTCL’s doors. And it’s going to become better. Question: How has this translated into your marketing and advertising? Naveed Saeed: PTCL was always perceived as a government type company and we wanted to change this image. We started treating PTCL as well as the individual products as brands, and chose the segments we wanted to target. We asked ourselves what associations we wanted to create in the advertising? How did we want to project our association with Qualcom? This work has really helped us and the feedback is that today PTCL is a much more open, approachable and friendlier company offering a variety of products for homes and businesses. Question: Is voice the largest part of your business? Naveed Saeed: About 40% of the revenue still comes from the voice business, although in the past few years, because of the convenience factor there has been a strong migration towards mobile phones. For our voice business, we are focusing on small offices, SMEs, the corporate and business market. For individual home users there has been a migration from voice to data. Data is becoming a bigger product than voice not only for our business but also globally. In terms of broadband, we have grown by more than 100% every year. We already have a great brand called Evo and soon you will see something even better, which will give speeds of over 20 to 30 MB and the ability to download high definition movies and carry out video conferencing, among other things. Question: Where will the growth in the broadband market come from? Naveed Saeed: Pakistan is one of top 10 countries in the world when it comes to broadband growth. It also has the lowest penetration of broadband in the world, so this is a double opportunity. Countries like Bangladesh, Cambodia, Chile, India, Mexico and Vietnam are emerging in terms of broadband. Bangladesh is probably the only market which is behind us and India is progressing very rapidly. With the e-world coming into place, soon there will be e-commerce, e-banking, e-education, e-transactions, e-learning, e-imports and e-governance and all of this is going to be powered by DSL connectivity; the potential is huge. Question: But you have a lot of competition from private broadband businesses. Naveed Saeed: Competition is always healthy, but if you look at it, many of these companies are running on a PTCL network. There are some operators who have put in their own fibre, etcetera, but they are doing it on a very limited scale, whereas PTCL is going to do this even in the smallest villages. So it’s not competition in the real sense when you have somebody as big as PTCL. On the wireless side, we have seen growth from companies such as Wi-tribe, Augere (Qubee) and Mobilink Infinity. They have made the investment but I am not sure about their capacity. They have limited opportunities, whereas PTCL has inherent advantages, like its network, core locations and infrastructure. We also launched the V-phone (or V-wireless) network; this is a CDMA network and is much stronger than the EDGE or GPRS capabilities in the market today. Question: Are there any hindrances in realizing the potential of this market? Naveed Saeed: The government has been very supportive and wants to take DSL and broadband services to every nook and corner of Pakistan. I think the voice business is over; we have reached saturation level. We have our market share and the mobile companies have theirs. Whoever wants to use wire lines for business and personal needs is going to do so. However, PTCL is going into bundling propositions, bringing in the unlimited usage culture where we give you added value with unlimited movies, IPTV, internet and voice. Question: PTCL calls itself a ‘converged services telecom operator’. What does this mean? Naveed Saeed: One of our products is a unified communications platform. It offers a total converged solution to any business. For example, in the case of a bank, we would fulfil the IT requirements by hosting their servers, doing the back and front end work, as well as providing them with internal calling and exchange services. It’s an all-encompassing server under one roof. It might be a bit early for us to call ourselves converged but we are an integrated telecommunications company for sure. Now how do you become integrated? Once you have all the services like voice, data, DSL and international connectivity and you can bring them all together. Question: Where do you see PTCL in the next three to five years? Naveed Saeed: In five years, most of our fixed line customer base will also be data users. Markets such as France and the UK have seen the same kind of development. With the advent of mobile, some of the fixed line voice businesses went down, but they rebounded in a big way with the integration and bundling of data. So if you apply for a fixed line in one of these countries, you don’t just get voice, you get the complete package of IPTV, data and voice in one bundle. I see the same thing happening here in five years. First published in the July-August 2010 issue of Aurora. Really? I still call them lineman..
someone please donate a new laptop to this guy. I guess PTCL is still dwelling in stone age. I wish i could give hand in there –s. This is the 4rth month i’m getting charges for dsl in mt bill and not recieving any service…even i didn’t get a device from ptcl.Every month i go & rebate the dsl charges..
Oh really ? :o Where this happens? in E-7 Islamabad ? Landline I previously had in different areas where I lived (around 4 numbers), have NO dues left, and before providing ANY connection they first check if you are defaulter or not. Still I got legal notice from PTCL twice for payment of dues which I already paid and got disconnection confirmation and dues clearance receipt, but still I got 2 legal notices. I personally delivered copies of those clearance but I don’t know who are those people made up of…& how they do their jobs in PTCL. PTCL must hire unemployed youth of Pakistan & should fire old folks who are lazy ducks, rude and have no sense of good customer service. Why PTCL is giving connection to Tenants without consent of Owner of house? When Tenant leaves the house, a large amount of bill is un-paid, and PTCL keep on sending bills on that address, and Owner of house receive the bill who has never applied for that connection. I appeal PTCL to go back to the old policy that phone connection to the Tenant should be allowed with consent of house owner. Naveed Saeed will not listen to this. He is enjoing many lacs of rupees as his salay and public should go to JAHANNUM.